Voiced with deep passion and grace, Aziza Brahim’s music adeptly travels the expanse between her Western Saharan roots and Barcelona, the European cosmopolis where she now lives. 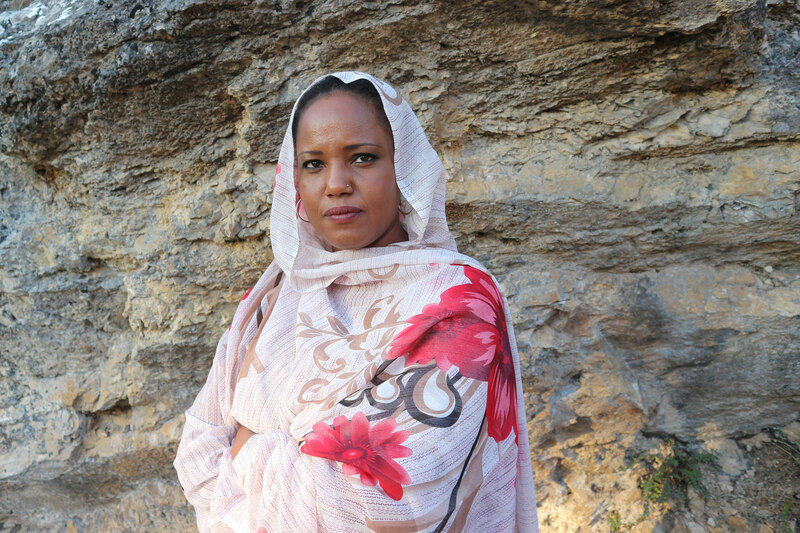 Aziza is both a contemporary sonic poet and a prominent and eloquent spokesperson for the Saharawi people and their ongoing struggle for recognition and justice. 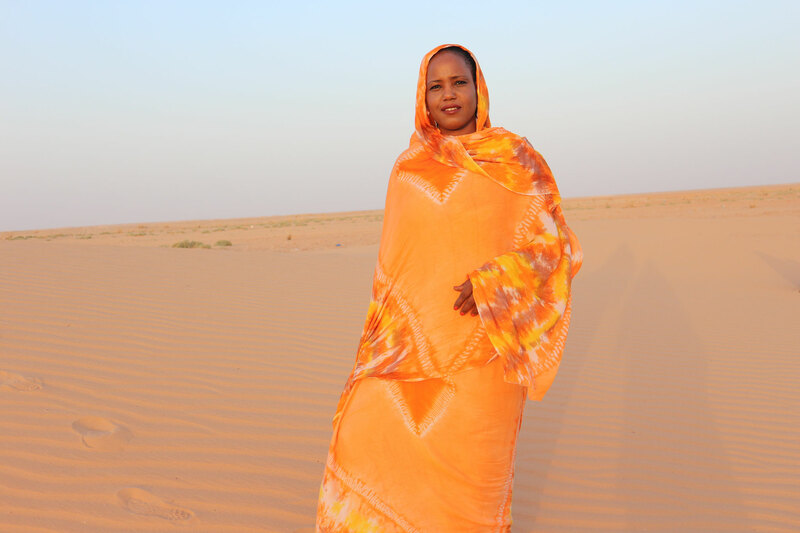 Born and raised in the Saharawi refugee camps lining the frontier between Algeria and Western Sahara, Aziza’s life has been marked by both daunting hardship and inspired will. 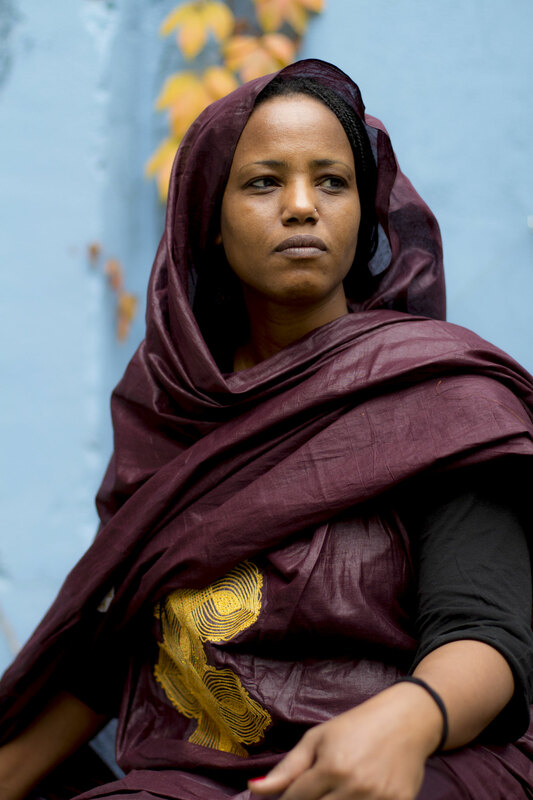 Fleeing from these camps and the regime of political oppression that followed Morocco’s 1975 invasion of Western Sahara, as a young teenager Aziza travelled to Cuba for her secondary school studies. There she experienced first hand the deep Cuban economic crisis of the 1990s and the subsequent denial of her request to pursue a university degree in music. 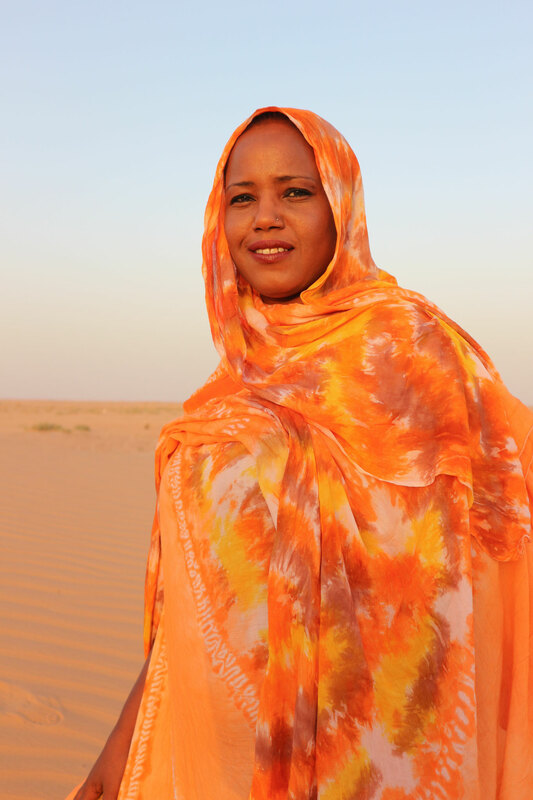 Music had been Aziza’s passion since she was a small girl and despite this setback she returned to the Saharawi camps in Algeria and began singing and playing in different musical ensembles, a process that continued when she moved to Spain in the year 2000. 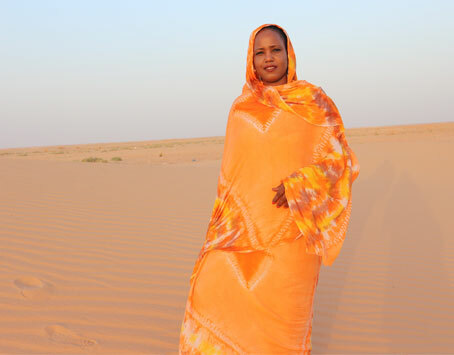 There she founded the eclectic Saharawi/Spanish band Gulili Mankoo with whom she released two acclaimed self-produced recordings: the EP Mi Canto (2008) and an album Mabruk (2012), both on Reaktion, a French label specializing in Saharan music. In the last years Aziza has performed extensively appearing at major festivals and venues including the Queen Elizabeth Hall in London (2009). Aziza’s album Soutak (“Your Voice”), her debut for the Glitterbeat label, is her first recording to predominantly focus on the cadence of her majestic voice and the soulful critique of her lyrics. The album was produced by Chris Eckman (Tamikrest, Ben Zabo, Dirtmusic) and was recorded live and direct in Barcelona in June of 2013. Aziza’s new album Abbar el Hamada (“Across the Hamada”) recorded in Barcelona in the summer of 2015 with Soutak producer Chris Eckman is a wholly persuasive example of Brahim’s pan-musical vision and is her most compelling and varied album to date.